In order to maintain our health, we need to consume a wide variety of vitamins on a regular basis. One vitamin that we must consume, but often forget, is the B Vitamin. There are a number of different B Vitamins that we need, all of which, when combined, contribute to proper cell health. However, this is not all that these vitamins do. In fact, each B Vitamin serves its own particular function in the human body. Curious as to what these functions are? Read below! Existing in beans, red meat, sunflower seeds, whole grains, and a variety of other foods, Vitamin B1 is key for converting food into energy. In addition to this, it helps protect the immune system, aids in the contraction of muscles, and reinforces the body’s nervous system. Found in eggs, rice, beef, broccoli, spinach, and a number of other foods, Vitamin B2 is important in helping the body to absorb fats, proteins, and carbohydrates. By helping in this way, in not only aids in the growth of the body, but in the production of red blood cells within the body. Most densely found in nuts, legumes, beans, green vegetables, and beef, Vitamin B3 is a key component in nerve, digestive, and skin health. It also contributes to the development of HDL cholesterol and promotes energy production at a cellular level. Vitamin B5 is found in a wide variety of foods, including but not limited to egg yolks, red meat, nuts, green vegetables, and dairy products. This vitamin works together with B2 to help break down fats and carbohydrates. In addition to this, it also aids in the production of hormones. Like B5, Vitamin B6 can be found in a wide variety of foods, including poultry, fish, red meat, eggs, berries, green vegetables, rice, and sunflower seeds. When compared to the other B Vitamins, it’s arguably the most important. Not only does it speed up the body’s metabolism and help to produce red blood cells, but it also contributes to healthy mood and sleep patterns. It does this by helping the body to create serotonin and melatonin. Vitamin B7 can be found in a number of different foods, including but not limited to berries, poultry, fish, nuts, and pork. Its primary function is to enhance the aesthetic of the body. It does this by promoting healthy skin, hair, and fingernails. Found in green leafy vegetables, beans, and organ meats, Vitamin B9 is important when it comes to fetal development. It is recommended that pregnant women consume it regularly to help benefit their babies’ nervous systems. It’s important to note, however, that Vitamin B9 is also beneficial for those who aren’t pregnant. This vitamin aids in the production of red blood cells as well. Vitamin B12 is found primarily in animal-based foods, including but not limited to fish, pork, beef, and poultry. It serves a few functions, but its primary purpose is to help B9 produce red blood cells. In addition to this, it also works with iron to create hemoglobin. Interested in Using B Vitamin Supplements in Chicago? Are you struggling to obtain your necessary B Vitamins through your diet? If so, you might consider using B Vitamin supplements. 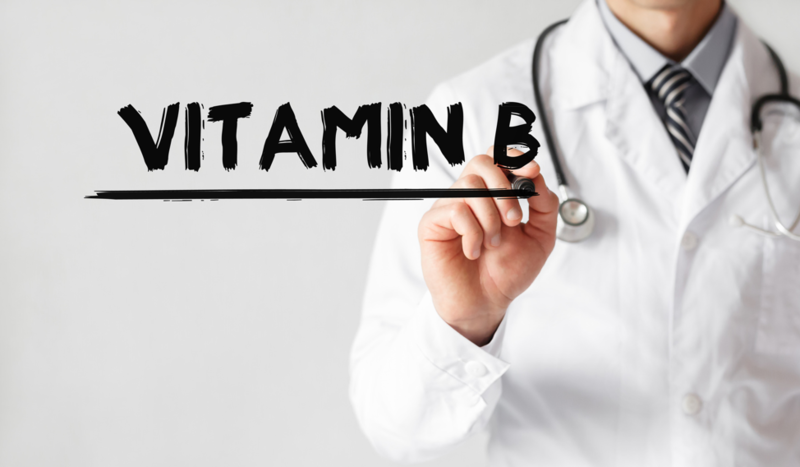 We here at the Feely Center for Optimal Health offer a highly effective B Vitamin supplement, which includes Vitamins B1, B2, B3, B6, and B12, among other ingredients. Highly absorbent, this supplement can benefit your physical and psychological health when taken regularly.